The Holmes Brothers, coming to the Narrows in April, have a new album out that's causing quite a stir. Now hear some of it courtesy of amazon.com by clicking here. Get your tickets soon for this show by visiting www.ncfta.org. 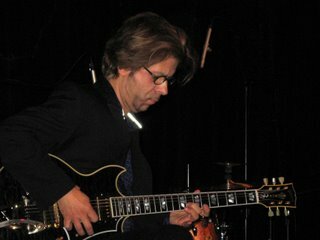 Hope you enjoy these photos from recent shows at the Narrows. 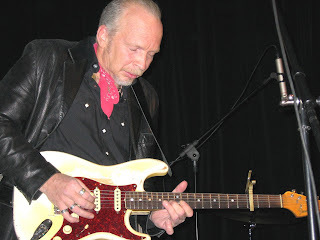 Dave Alvin rocks out and gets down with his Strat (?). 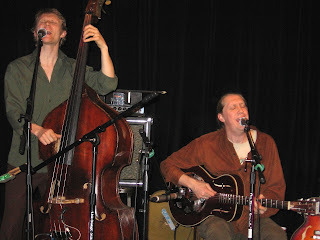 The Wood Brothers mixing folk and jazz. 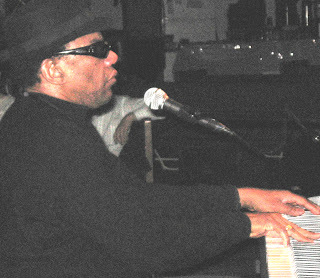 Henry Butler, mixing New Orleans boogie, blues, soul and even classical. Check out www.rollingstone.com for the editor's hot picks for the week. Right up there is our very own Holmes Brothers' version of Cheap Trick's "I Want You To Want Me." If you check out the chart at www.americanaradio.org you'll notice that Narrows "alums" are doing very well. Hmmm, let's see...the Holmes Brothers, coming this April for, I think, their 3rd Narrows show, are at #9. If you've attended a recent show at the Narrows, you know I have publicly proclaimed the Holmes Brothers' show a "lock"--meaning that even if you don't know their music, you are guaranteed a great time. (I was right about Old School Freight Train in January!) More info at www.ncfta.org. I've been wanting to post this photo for a long time. 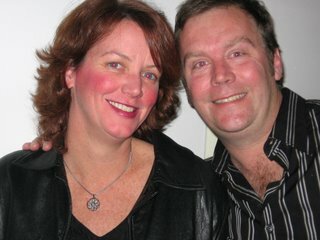 This is Narrows' president Patrick Norton and his wife Maggie--The "first couple of the arts" in Southern New England. I took the shot on a whim during a recent concert. 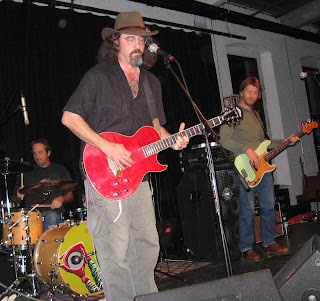 The Alvin/McMurtry show Friday night has sold out. Thanks to everyone for making this show a financial success. Now it's up to the artists to make it a memorable evening. For those who missed out--check out the schedule. We have a great show Saturday night!!! The Boston Globe described their sound thusly:"neo old-timey with cosmopolitan splashes of contemporary pop and jazz." By the way, Rani Arbo is a person; Daisy Mayhem is the band. Learn more at www.raniarbo.com. If you've been following the doings at the Narrows, you know that we claim to have discovered one of the hottest up-and-coming-young-Boston-area-based performers on the national Americana music scene, Eilen Jewell. Her debut album has charted nationally, and she's created a buzz in these parts with her understated take on "cosmic American music," to, I think, borrow a phrase from Gram Parsons. Visit www.eilenjewell.com. Paul Burch has been kinda doing the same thing, but down Nashville way. 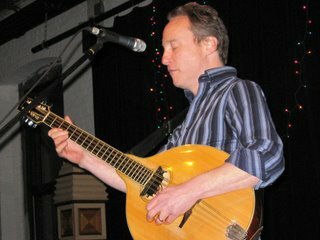 He's worked with the greats, including Tim O'Brien, Mark Knopfler and Ralph Stanley. www.paulburch.com. This is the Wolf's second visit to the Narrows, bringing his soulful New Orleans guitar stylings. He's a snappy dresser, too. Check him out: www.walterwolfmanwashington.com. The Narrows' esteemed president and booking guy, Patrick Norton, was profiled in SouthCoast Today. Plus, your humble blogger's photography was also utilized in the story. Before you get to the story link, I should let you know that the photo features volunteer Laura McNamara, musician Leo Kottke (with fork in hand) and Patrick Norton. Maybe my eyes are bad, but I couldn't find a photo caption. That said, the link to the profile is here. What can you say? 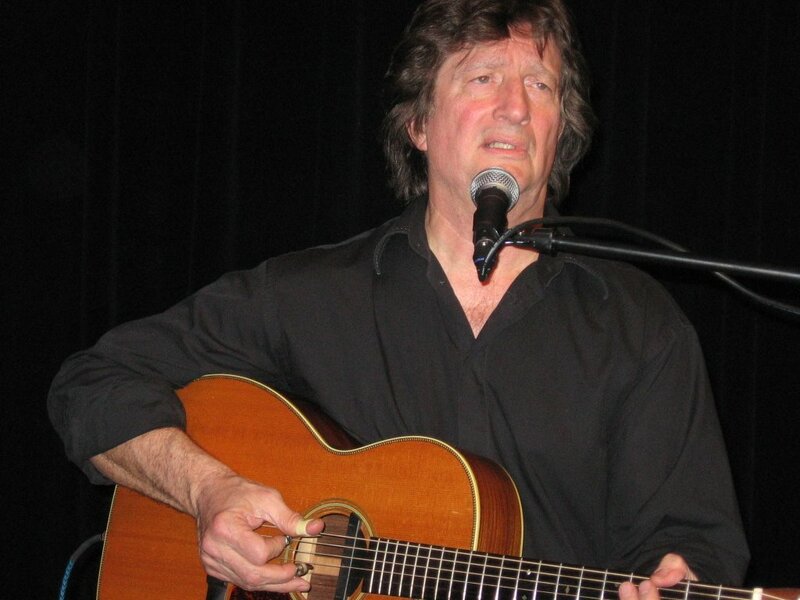 Chris Smither did his thing to a sell-out crowd Saturday night. The Holmes Brothers' new CD is one of the most added CDs to Americana radio. Your humble blogger went out on a limb when I proclaimed on stage months ago that Friday night's show featuring Old School Freight Train was a "lock"--meaning an absolute guaranteed good time no matter what you dig. Thank you to the many people who believed your blogger and came to the show! We had an excellent turnout, and the group was fab!! People were thanking your humble blogger for turning them on to this up-and-coming dawg-music ensemble from Dixie. Today I'm announcing my next "lock": The Holmes Brothers show in April. The Holmes Brothers have played the Narrows (and Chan's) for several years, but they are hardly a household name, even for those who follow the musical genres usually featured at the Narrows. The Holmes Brothers combine gospel, soul, rock and even a bit of country into an energetic, toe-tappin' good time. They may be artists, but they know how to entertain! Check the schedule at www.ncfta.org. Last Friday night was a sell-out or thereabouts for the Johnny A show with opener Jimmy Ryan. Although Jimmy has opened at the Narrows a bunch of times, Friday night was the first time in memory he employed electronic gizmos and focused on his instrumental virtuosity. 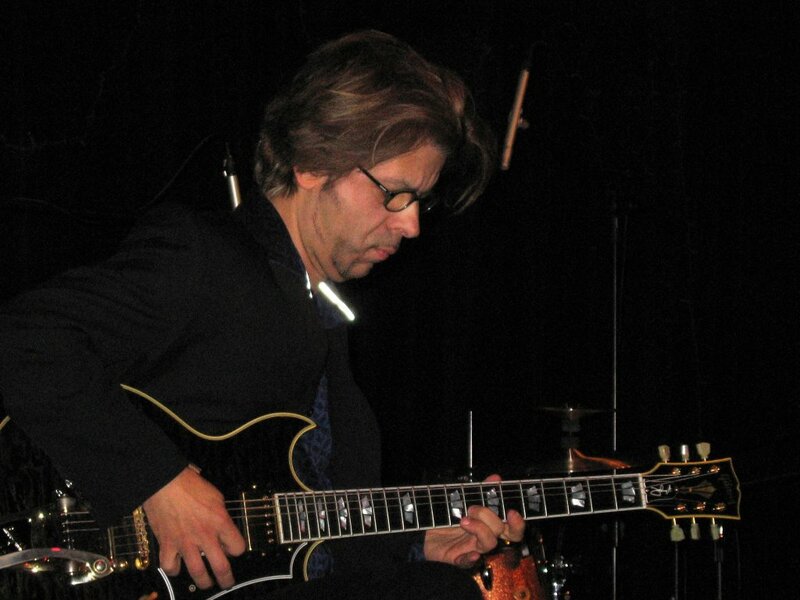 Johnny A did an inspiring show, displaying the guitar licks that have made him famous. He also seemed to genuinely appreciate the crowd, even doing an extended set.